This graphic novel is hilarious and fantastic! 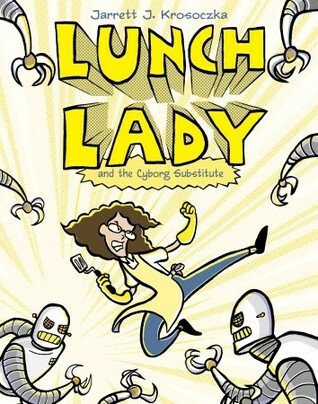 You discover that the Lunch Lady has some seriously cool super powers and a sidekick that invents all sorts of cool gadgets. They have a secret room behind the broiler where they meet. Some awesome gadgets found in this book: spatula that turns into a mini-copter, milk-cam, lunch-try laptop, mole communicator that goes to a Spork Phone, rubber glove suction cups, cannoli-oculars, chicken nugget bombs, fish stick nunchucks, hairnet net, and an electronic bananarang. 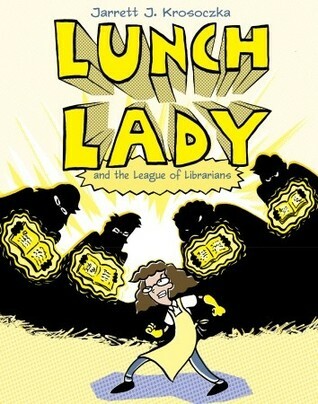 Just what you need – a lunch lady who fights evil.